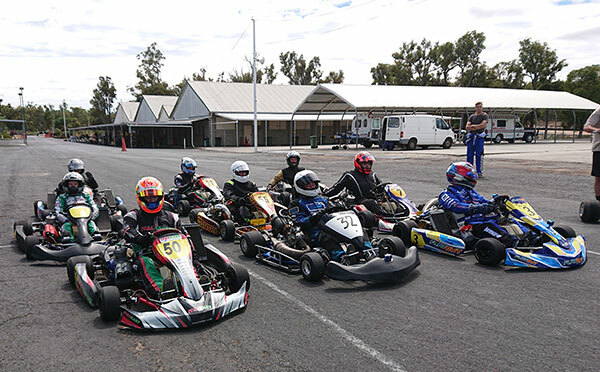 Well, another successful race day on Saturday 2 Feb at Collie, conducted by the Superkart Club of WA. Weather turned out to be pretty good, despite the heat of the previous day. The Open Performance class was the spectacle of the day, with a wide variety of karts contesting for the lead: National 250 singles, twin engines, KZees and X30 175 cc Supers. Doing the maths, on average, each kart had a 150 cc capacity and had 1.22 cylinders. Nothing average in that kart though. The 125s… also put on a good show, with maturity being the winner in some cases. The 100 cc class, mainly consisting of daredevil ‘J drivers, did have the odd giggle or two. 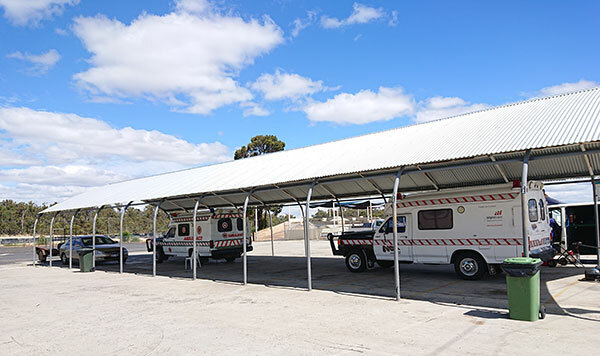 The ambulances just sat there, doing nothing. Overall, the numbers could have been better, this being both due to another karting event date being shifted to the same day, and also being the last weekend of school holidays. With the Collie circuit becoming more popular, sometimes the dates don’t quite work out. Next race meeting is on Easter Monday 22nd April 2019. So, drag out your weapon of choice, raise the gearing, leave behind any ultra competitive inklings and come down for some noise, smoke, camping and some general purpose laid back enjoyment. As is always the case, karting is an indulgent sport and the SKCWA is appreciative of any support that it receives. For this meeting, we received support from Endeavour Tools, Bunbury Batteries & Radiators, Tool Chest, Load Cell Supplies, SP Tools & Coco’s Restaurant. Thanks fellas. Usual thanks to SKCWA, KartWest, the Collie Motorplex girls and the officials, some of whom got to have a drive in a kart after the racing had concluded.